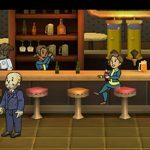 Previously, our Fallout Shelter strategy guide had covered two separate articles, that you can check out here and here. These two articles feature general tips and tricks, that you can use to run the perfect, ideal vault. However, when you’re talking about a game like this, with all the hype surrounding its recent release and its in-depth nature as a different kind of city management game, two sets of tips aren’t enough. That’s why we’re here to tell you more about Bethesda’s new mobile game, and talk you through yet another set of tips and tricks. You may have noticed that we didn’t talk much about Raiders in our first two general tip listings – and as it turns out, we didn’t touch on Radroaches on those ones. So what’s to do if you want to get rid of these antagonists? The first thing you should do is to ensure your best weapons are not equipped. And when you’ve got a room that’s infested, equip your Dwellers with these weapons and have them go to the infested room. With these powerful weapons equipped, they’ll be able to deal with the Raiders or Radroaches with less hassle, though you should also un-equip their weapons after they’re done quelling the attack. But what about fires? Together with the aforementioned Raiders and Radroaches, fires are another thing you may encounter quite often as a challenge in Fallout Shelter. And when you’ve got a room that’s on fire, what you have to do is to evacuate everyone inside it and let the fire extinguish itself – it’ll die out automatically regardless whether you’ve got Dwellers fighting the fire or not. 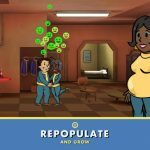 We told you last time that it’s easy to make babies in your vault – just send one male and one female Dweller to the living quarters and let them do their thing. We do, however, have more information on babies born in the vault. These babies, might we add, have special stats of their own, which means there’s a chance the kid may grow up to be a rare or high-powered Dweller. To increase these chances, we advise you to try breeding one rare Dweller with a common one, or two rare Dwellers. Want to have more types of rooms available for your vault? All you need to do is grow that population and you’ll have more rooms to create in your little fallout shelter. The Nuka-Cola bottler is the highest room available, and you’ll be able to unlock it once your population grows to 100 Dwellers. Among other benefits of having a room with two to three spaces, you’ll also end up spending less on upgrades. For example, a 3x-wide room will cost 500 bottle caps for the first upgrade, while three separate, single-space rooms will cost 250 caps each to upgrade, which adds up to 750 caps. Need more general tips, tricks and hints on how to build the perfect vault in the game? 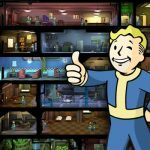 We suggest you to take a look at the fourth part of our Fallout Shelter strategy guide, as you will discover some exciting hints you probably haven’t heard before.